My focus is obviously wildlife and nature. This is what I love to do. What affords me the opportunity to do it, is my day job at an advertising agency in New York where I work as a creative director and writer. I’ve also lived in Boston, Denver, Detroit, and the back of a Subaru Outback. My photography and writing has appeared in magazines like Outdoor Photographer, Popular Photography, Natural History Magazine, Shutterbug and Spa, and has even made its way to Broadway, serving as a backdrop to the hit play Impressionism, starring Jeremy Irons and Joan Allen. I’ve been awarded by Nature’s Best in their Windland Smith Rice International competition, Communication Arts, Luerzer’s Archive, the North American Nature Photographer’s Association, and the National Wildlife Federation. Feel free to have a look at more of my photos on my website. 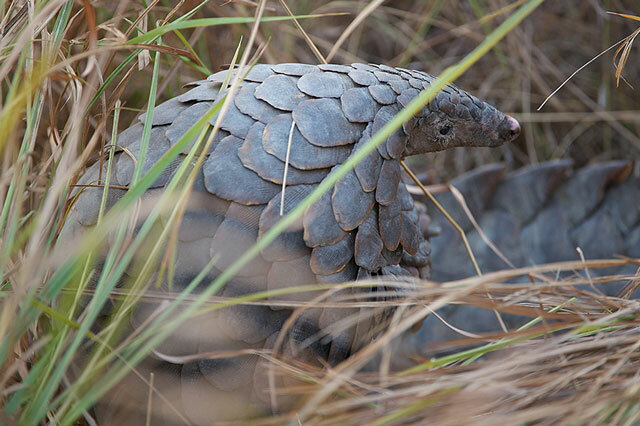 A rare series of photographs of a pangolin being stalked by a leopard in Botswana.